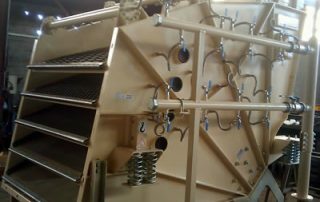 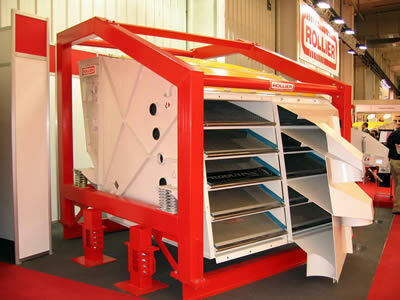 The screen sizers Rollier MEL series are multi-deck sizers (up to 6 screening decks) with an extended mesh length. 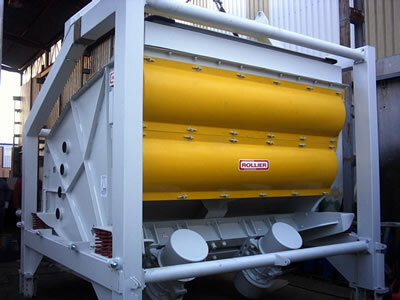 This increases the screening surface. 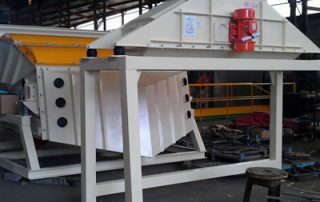 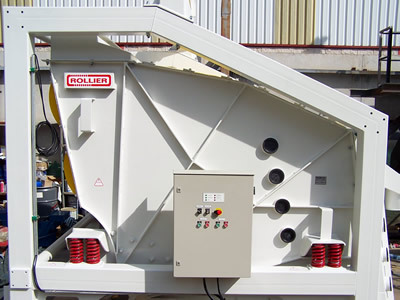 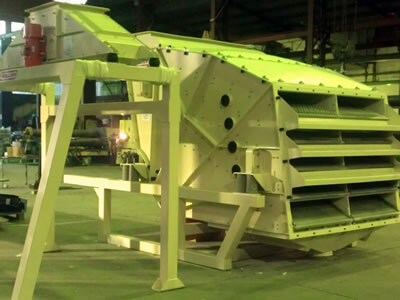 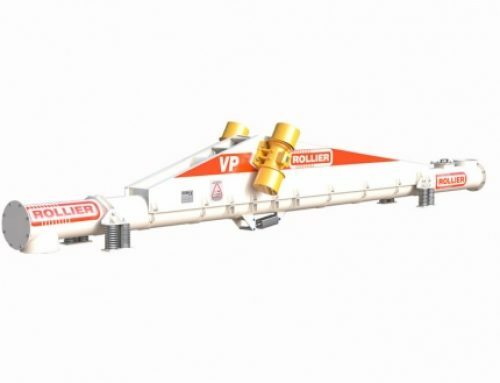 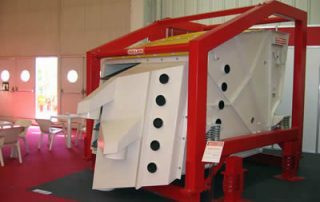 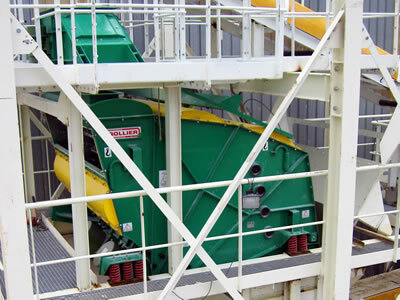 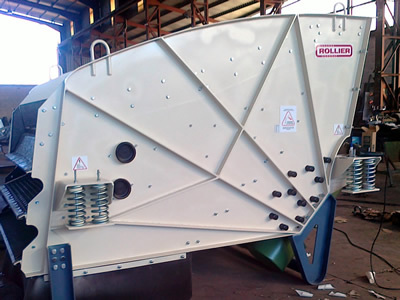 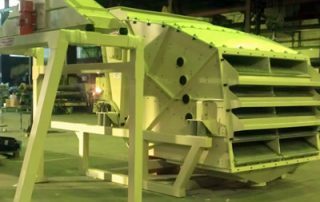 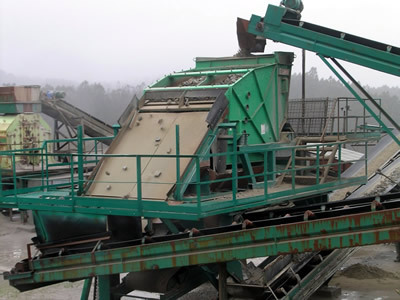 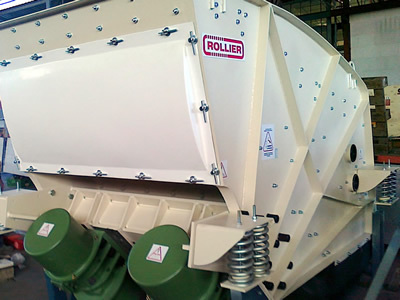 The screen sizers Rollier MEL series are driven by electric vibrators. 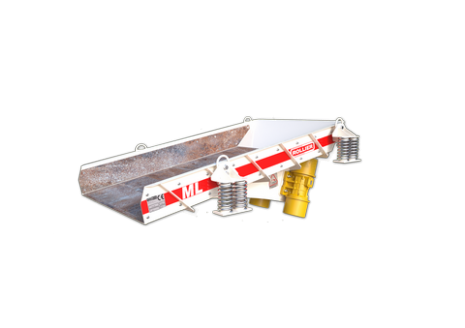 Springs suspension. 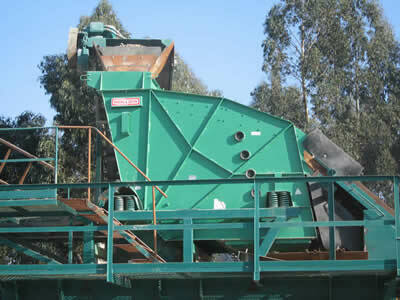 Excellent performance for fines and extra fines materials. 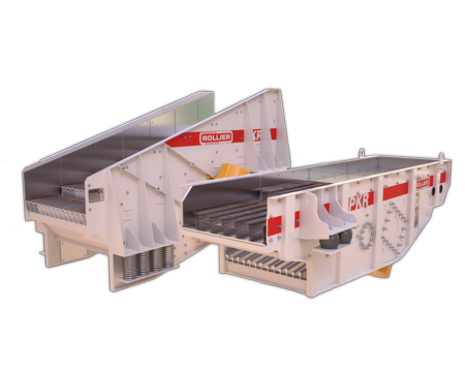 High performance, multi-screening equipment powered by two energy saving electric motor vibrators, the linear movement provides high capacity and extremely effective screening. 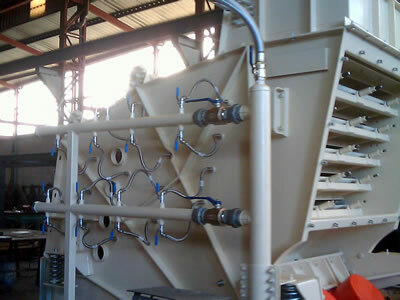 Applying the principal of statistical classification, the goal is to obtain the greatest probability of passage of the particles to be screened through the apertures of the meshes in the least possible time. 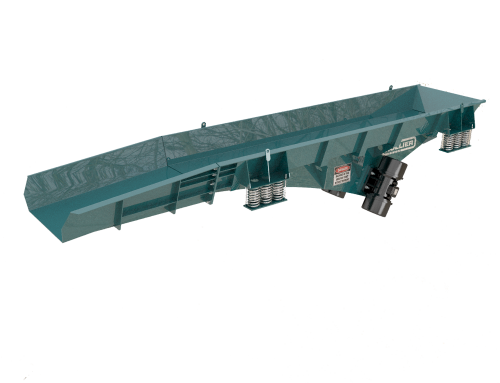 This is achieved through the combination of different factors, such as the machines high acceleration rate, the angle of approach over the meshes, the gradients of these and the positioning of technical meshes.If the particle does not manage to pass through an aperture when propelled by the high acceleration and the linear movement, it is rejected. 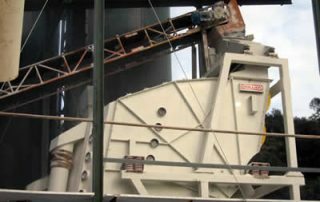 Technical meshes are fitted to ensure that the material is clean when it gets to the classification cloth. 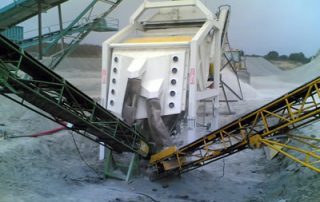 The materials contact with the cloths is notably reduced, thus diminishing wear due to friction and preventing blinding. 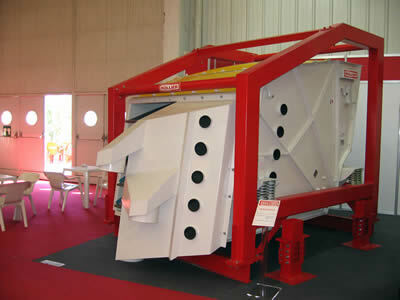 See video 1. 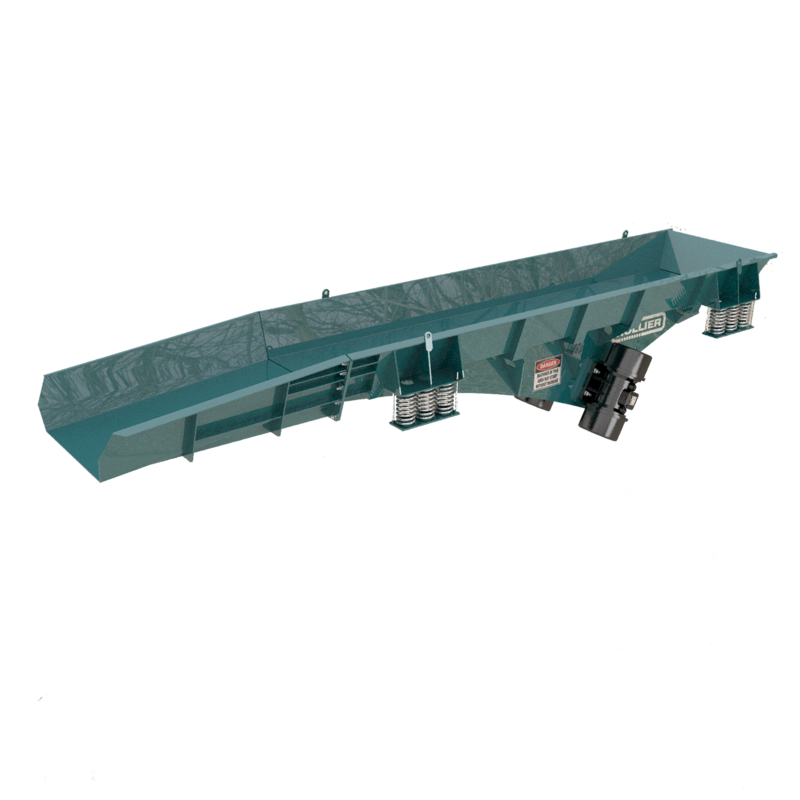 See video 2. 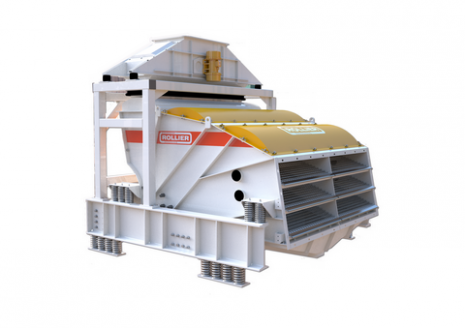 Long version, ideal for screening particles from 0.5 to 30 mm, with capacity to process particles of up to 120 mm. 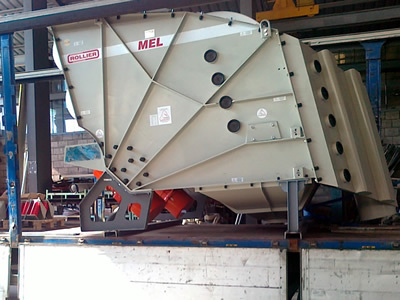 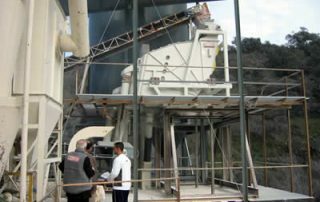 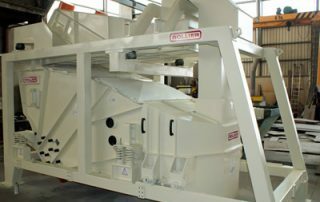 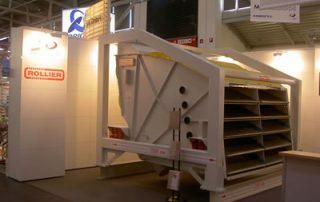 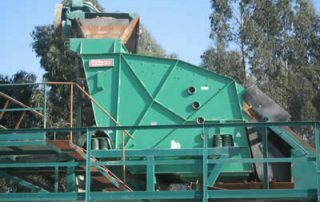 Available in widths of 1,000 mm to 2,500 mm, from three to five decks and with 1,000 or 1,500 rpm motors, depending on the model.Increases the screening area and the time the material remains on the meshes, which in turn significantly increases screening efficiency. 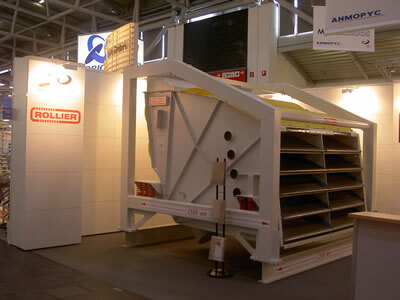 Table of models available in the MEL series Specifications: Lenght, Widh, Height expressed in mm, Weight in Kg. 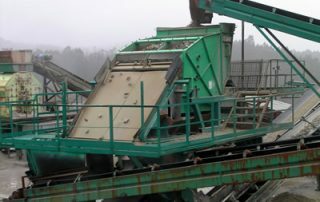 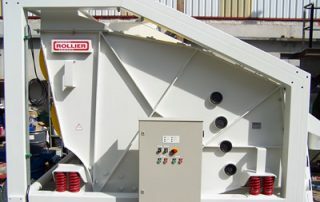 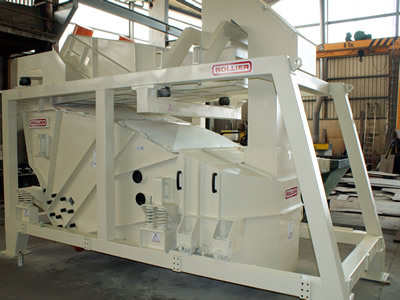 The screens come fitted with an internal distributor as standard with an adjustable blade or distribution tray, mainly in the models of up to one metre in width.It is essential that the material is distributed over the entire width of the screen, dispersed and disintegrated to prevent accumulations on the meshes and unclassified material.ROLLIER carries out a detailed feeder study, based on the material and particle size, in order to determine the most suitable feeder mechanism. 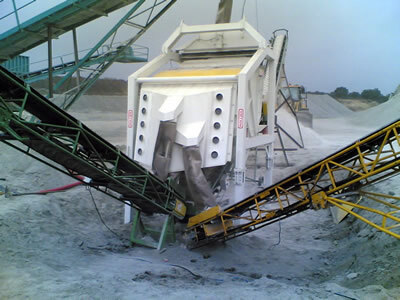 In these cases, transversal vibrating distributors or RVB are fitted. 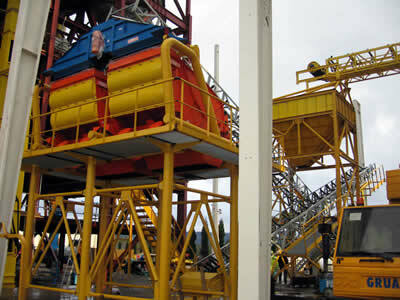 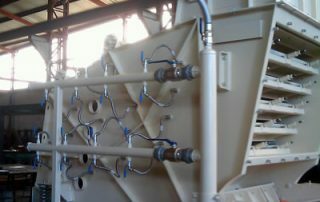 They are also used for distribution to two screens installed in parallel with a single feeder. 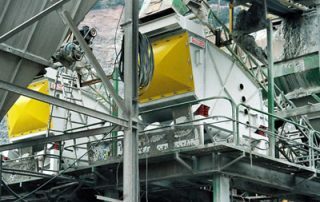 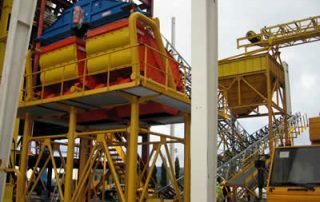 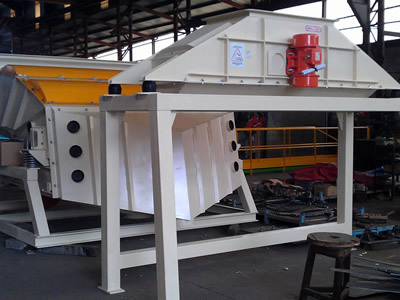 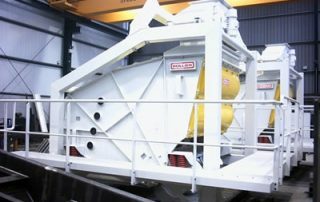 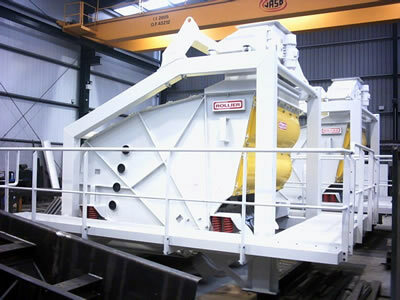 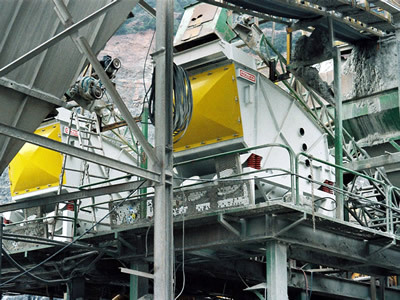 Upon request, a modular support structure will be supplied to facilitate installation and transport.Due to the machines reduced size and weight it is much easier to set up, with the consequent savings in materials.It can be installed on rubber anti-vibration springs over AG type articulated mounts.Standard screens incorporate housings with outlet spouts. 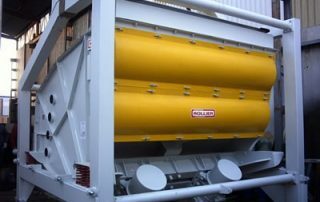 Alternatively, static distributor carts are fitted, which are ideal for difficult screenings with large particles and clayey or damp materials. 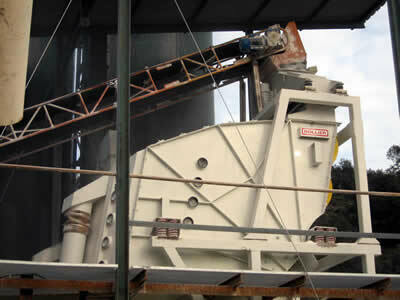 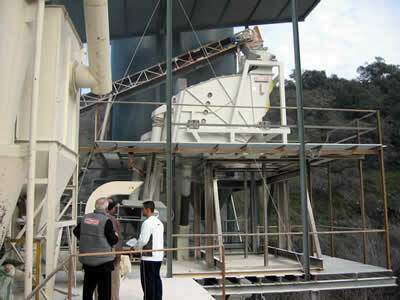 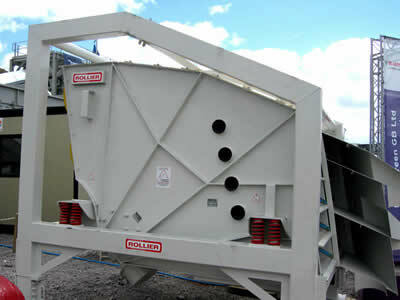 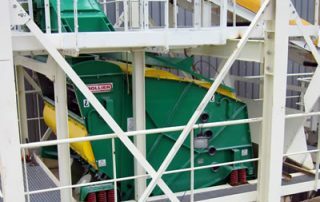 The top and rear fibre covers render the machines completely airtight and dust collectors may be fitted. 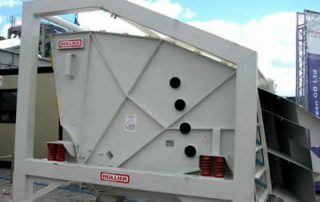 These covers are fixed with wedge locks and are simple to remove, making it easy to access the areas with elements susceptible to wear, such as the meshes, to carry out maintenance. 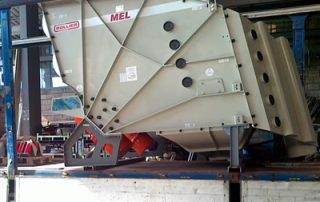 They have inspection and maintenance apertures at the front and on the sides, which are useful when changing the meshes. 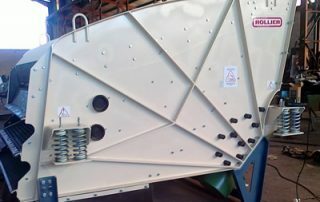 The fixings and longitudinal tightening of the meshes makes them extremely easy to change, enabling rapid maintenance. 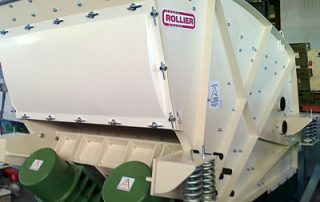 The system maintains the tension constant, making it possible to use meshes with apertures of up to 0.1 mm with total reliability. 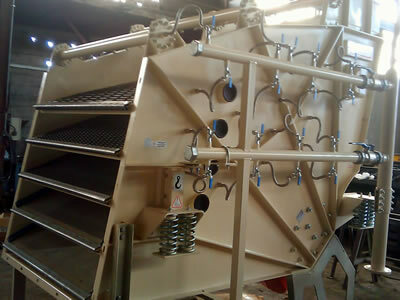 To avoid blinding, the machines come with pre-installation for rebound mechanisms, which can optionally be chains, rubber or silicon, depending on the product, the temperature and the size of the mesh apertures. 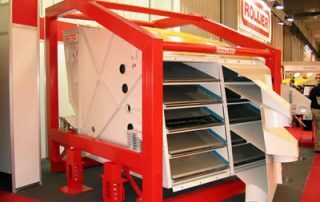 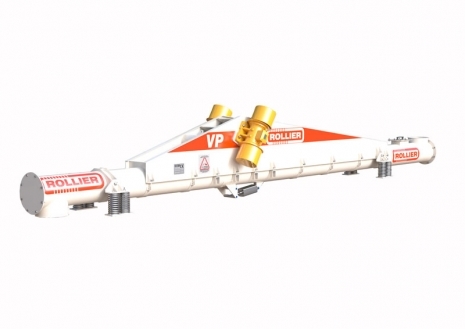 ROLLIERs modular manufacture makes it possible to make up special models using stock elements that are common to all the screens (bridges, crossbars, sides, etc. 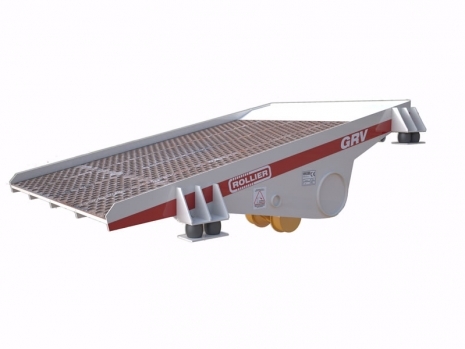 ), thus reducing delivery time.